The American Samoa flag is a relatively recent development. The current flag is only the second design that has ever been used within the territory, and it is the only design to be a unique flag of American Samoa rather than a symbol of a larger nation. 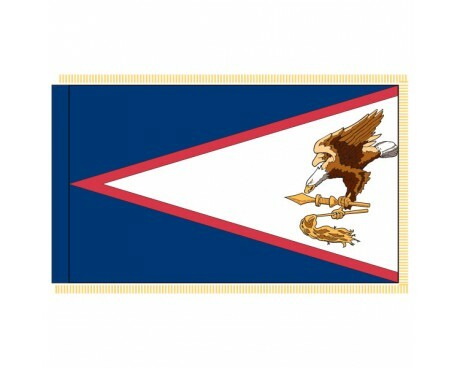 The flag of American Samoa features a blue field with a white triangle that stretches out from the fly towards the hoist. The triangle has a red border, and it displays a bald eagle in flight that is grasping a fly-whisk and a war club in its talons. The red, white, and blue colors have traditionally represented both the United States of America and the people of Samoa, so their inclusion embodies both their individual cultures and the unity of the two groups. The bald eagle is a symbol of the United States, but the club and fly-whisk that it grasps are traditional symbols of Samoa. The club represents the power of the government, while the fly-whisk represents the wisdom of its leaders. 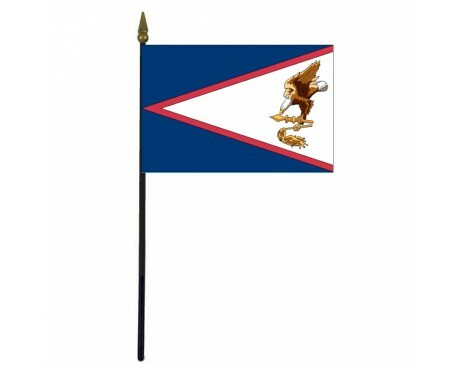 Samoa did not use any flags for the vast majority of its history. Flags were introduced to Samoa when Europeans first landed on the islands, and they only came into use as symbols of Samoa when the United States and several European nations began to exert control over the region. The national flag of the United States became a symbol of American Samoa when it became part of the United States, and it was the first flag to be authorized by any Samoan government. 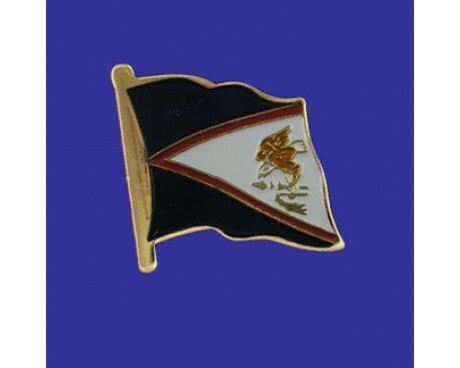 The flag was authorized for use in American Samoa in 1900. 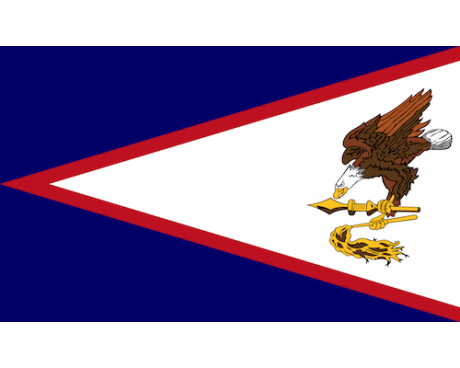 The lack of a native vexillological tradition in Samoa was not an obstacle when the time came for American Samoa to have a flag of its own. The idea of creating a unique American Samoa flag was proposed in the 1950s, and a design was soon created by a group of local leaders from both the Samoan population and the US Army Institute of Heraldry. 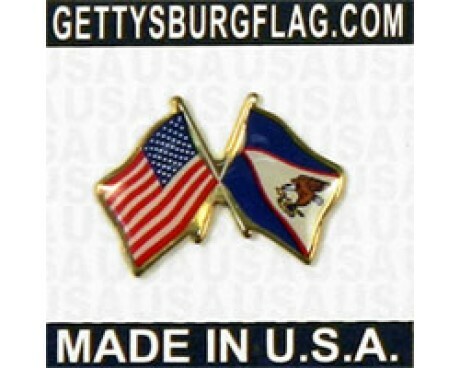 It came into use in 1960, and it has represented the territory without undergoing any changes since that time.